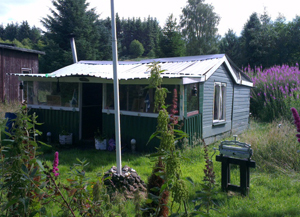 You are here: Home > Blog > Energy, sustainability & economics > Huts and hutting in Scottish Woodlands – time for change? There is pressure to extend the hutting tradition and the Scottish government have been lobbied to support such moves. 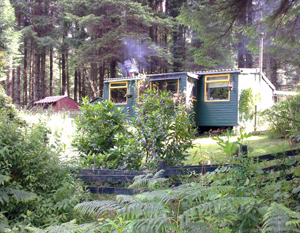 Individuals such as Donald McPhillimy, Lesley Riddoch, and Andy Wightman have lent support to changing the planning law to encourage the building of huts and of hutting in general. The Scottish government have recently been discussing what to do about the pressure to build huts and a Scottish planning policy consultation during the summer (2013) asked specifically about huts. That document received an enormous number of responses on huts (about 800 replies) which illustrates the level of support for accommodating changes to allow people to build such shelters and sustainable short-term accommodation outside the cities. Advocates of new rules on hutting have suggested a maximum size of 5 metres by 6 metres which is pretty large in hut terms but it would set a limit on hut-building so that these do not become permanent long-term housing developments. Some Scottish hutting campaigners have argued that huts should fall under a new category of development in planning terms. One observer suggested that huts would be a vast improvement on caravans in so many ways and pointed to the way the Norwegians and Swedes organise short term accommodation in the countryside. He said, "we have caravans whilst Scandinavians have huts". This is certainly a problem for woodland owners and because the law on huts is so unclear many woodlands owners have discretely built their own shelters but without any planning permission. With more and more people owning a small piece of Scotland with a view to managing it and enjoying it there is certainly a need for more clarity on what huts you can and can't build. So far, in the “UK”, the Hut issue is,effectively, a Scottish issue. Any spread over borders would be down to respective/devolved govts or local authority and as would likely be the case, triggered by enough individuals who are passionate enough to get a ball rolling. Just like Scotland, although the Hut concept has the advantage of being established for some time, the current work to support the culture, or at least get it more accepted, has taken many years to reach this point. Google thousand huts and reforesting Scotland, and you`ll get an idea. Having said that, while browsing google maps for a parcel of my own, I found a bizzare Hut/shack heaven on banks of the Wye nr Bewdley. Loads of them. Check it out, there was a small freehold parcel there just last week on Preloved for 10k. [18m x 50m]. Do you see this as a uniquely Scottish phenomenon, or will it spread south of the border? Hi I wondered what your ‘woodland.co.uk’position is on the proposals for changes to the Scottish planning policy regarding the relaxation of rules for recreational huts? Specifically whether you believe an occasionally used Hut, without services would be in line with the covenant associated to your woodlands for sale.